All the Fall fashion magazines are rolling in and while I can’t help feeling sad over the end of summer, I cannot wait for Fall fashion, particularity several pant styles I must get! Absolutely have to get a pair of leather skinnies. Michael Kors, DKNY and Free People all have affordable Vegan (sounds so much better than fake) leather versions that I will be trying this month in hopes for the perfect pair. Once I find the perfect pair I will post it. These wide-legged jersey pants are the polar opposite of the skinny leather pants but how fab would these be for a Sunday brunch or a casual day shopping? Sadly, my favorite skinny jeans have died and I have to search for my new perfect mate. I am loving these dark wash skinnies by Rag & Bone. They look fantastic with heels, polished with a trench and fade into the background with a cape and Chucks. 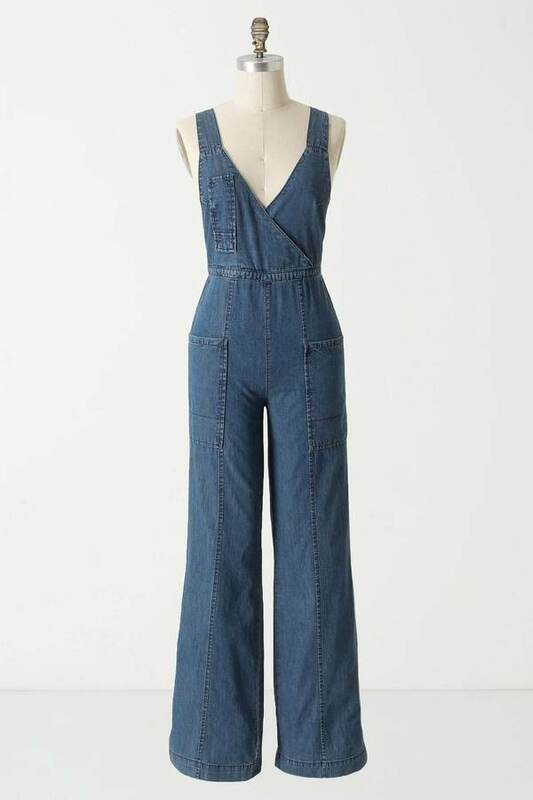 This Holding Horses flared denim romper also has me hooked. I know, I know…overalls?! 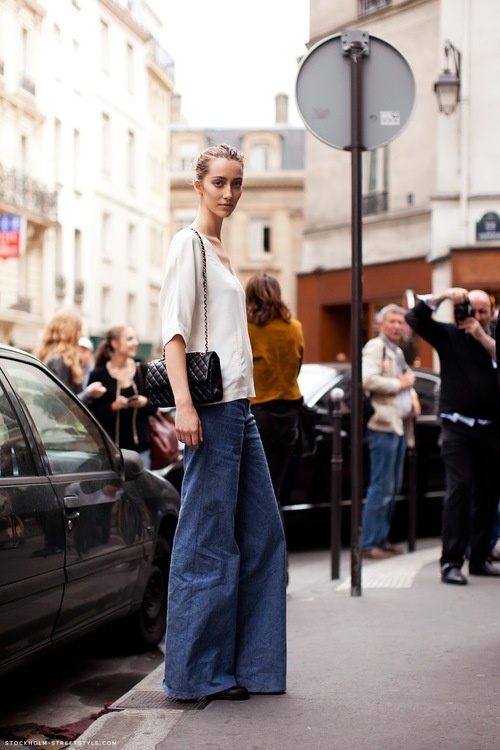 But paired with a striped top it takes on a Parisian street chic look. Plus the back is adorable with a high-waisted zipper. Leggings are the perfect backdrop for brights, neutrals, and layers. The length and thickness are really important though. I cannot stand leggings that are thin or shiny because they are stretched out from a cheap fabric. My favorite is by Vince, are an incredible fit and fabric and def worth every penny. So many wonderful choices…I cannot wait for the possibilité of what I may find and fall in love with!